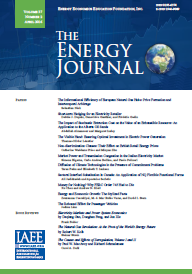 This paper examines the optimal capacity choices of conventional power generators after the introduction of renewable production. We start with a basic and generally accepted model of the liberalized wholesale electricity market in which firms have insufficient incentives to invest and we illustrate how the entry of renewable generation tends to aggravate that problem. We show that the incentives to invest in firm capacity (e.g. conventional thermal plants) may be restored by means of a capacity auction mechanism. That mechanism is vulnerable and, hence, may prove ineffective unless governments can credibly commit not to sponsor the entry of new capacity outside the auction mechanism. We explain that such commitment may be particularly difficult in the current political context where energy policy is conditioned by environmental and industrial-policy goals. We finally propose a way to enhance the credibility of capacity auctions by committing to optimally retire idle (conventional) power plants in response to entry outside the auction.